Detectives are treating the death of a 32-year-old man found in a garage in Co Tyrone as suspicious. 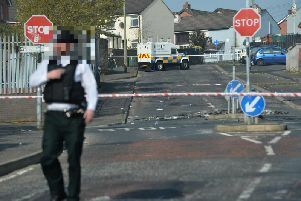 The man’s body was discovered in a garage on the Moor Road in Coalisland on Thursday lunchtime. A post-mortem examination is to be conducted to determine the cause of death. Police have released few details about the victim but it is understood he has links to eastern Europe.